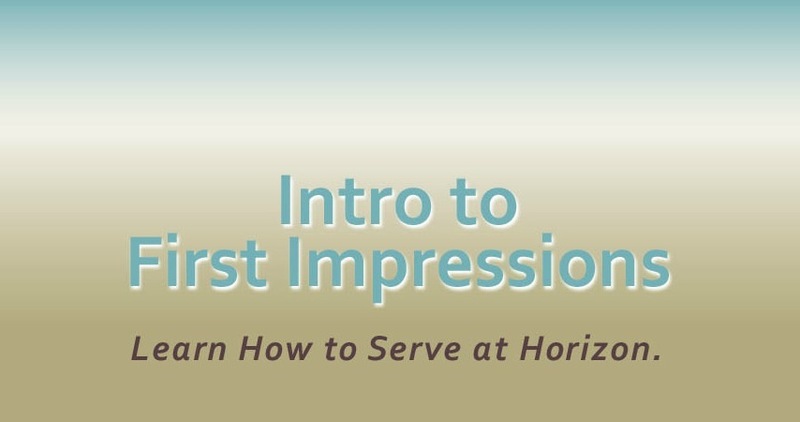 For details about serving on Horizon's First Impressions Team, plan to attend on Sunday, Apr. 28th at 11:15 a.m. Join us on the 2nd floor in SkyBox B to learn how to welcome visitors, serve in the Cafe or help with parking. If you plan on attending the meeting, contact Melody Hamilton at mhamilton@horizoncc.com or call 513 272-5800, ext. 239. Walk-ins are always welcome.